Do you find your at home dance parties could use a touch of the Empire? Do you enjoy listening to music out of levitating speakers? Then you definitely need a levitating Death Star speaker in your no doubt Star Wars-crazed home. No, this is not an infomercial. 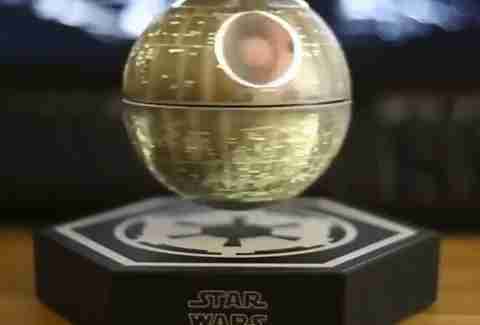 But yes, a levitating Death Star speaker is a real thing you can buy. A bluetooth "floating sound system" shaped like the Death Star is currently available on Amazon and Fancy, allowing Star Wars fans to take both their obsession with the Empire and the music on their iPhone to a whole new level. Currently, the speaker is selling for $220 on Amazon, making it a bit of an investment. The description on Fancy promises 6- 8 hours of battery life and "superb volume levels." 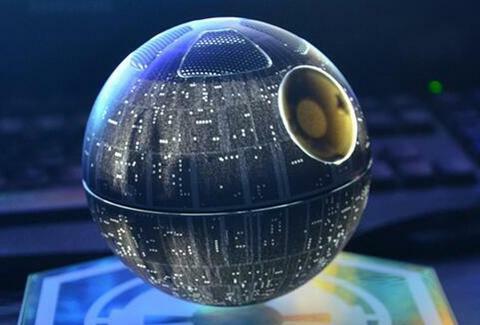 However, the only thing that really matters is that this thing levitates and is shaped like the Death Star. Oh, and that it glows in the dark. Vader would totally buy one. Kara King is a News Writer at Thrillist and can't stop watching the Death Star spin. Send news tips to news@thrillist.com and follow her at @karatillie.